Law Web: Whether disputes arising out of distinct contract for different work can be referred to single arbitral tribunal? Whether disputes arising out of distinct contract for different work can be referred to single arbitral tribunal? As per Section 7(5) of the Act, even though the contract between the parties does not contain a provision for arbitration, an arbitration Clause contained in an independent document will be imported and engrafted in the contract between the parties, by reference to such independent document in the contract, if the reference is such as to make the arbitration Clause in such document, a part of the contract. Section 7(5) requires a conscious acceptance of the arbitration Clause from another document, as a part of their contract, before such arbitration Clause could be read as a part of the contract between the parties. The question whether or not the arbitration Clause contained in another document, is incorporated in the contract, is always a question of construction of document in reference to intention of the parties. The terms of a contract may have to be ascertained by reference to more than one document. 13........Having regard to Section 7(5) of the Act, even though the contract between the parties does not contain a provision for arbitration, an arbitration Clause contained in an independent document will be imported and engrafted in the contract between the parties, by reference to such independent document in the contract, if the reference is such as to make the arbitration Clause in such document, a part of the contract. (v) Where the contract between the parties stipulates that the conditions of contract of one of the parties to the contract shall form a part of their contract (as for example the general conditions of contract of the Government where the Government is a party), the arbitration Clause forming part of such general conditions of contract will apply to the contract between the parties. (i) Annexure 1 to the Letter of Award issued for Package No. 4 Contract; and (ii) Annexure III to the Letter of Award issued for Packages No. 4, 6, 7, 8 and 9 contracts; and (iii) Clarifications/Addendums No. 1 to 4 (in the descending order) issued by the Employer to the Original Package No. 4 Tender Document. There are a number of contract agreements between the parties-GPL, Duro Felguera and FGI. It is pertinent to note that MoU dated 11.08.2012 itself does not contain an arbitration clause. When reference is made to the priority of documents to have clarity in execution of the work, such general reference to Original Package No. 4 Tender Document will not be sufficient to hold that the arbitration Clause 20.6 in the Original Package No. 4 TD is incorporated in the MoU. 50. The submission of GPL is that since reference to Original Package No. 4 TD is made in MoU, the arbitration Clause is incorporated in the MoU and there has to be a 'composite reference' for settling the disputes under different contracts by constitution of single arbitral tribunal for dealing with the international commercial arbitration. As discussed earlier, as per the amended provision of Sub-section (6A) of Section 11, the power of the court is only to examine the existence of arbitration agreement. When there are five separate contracts each having independent existence with separate arbitration clauses that is New Package No. 4 (with foreign company Duro Felguera) and Packages No. 6, 7, 8 and 9 [with Indian subsidiary (FGI)] based on MoU and Corporate Guarantee, there cannot be a single arbitral tribunal for "International Commercial Arbitration". 2. 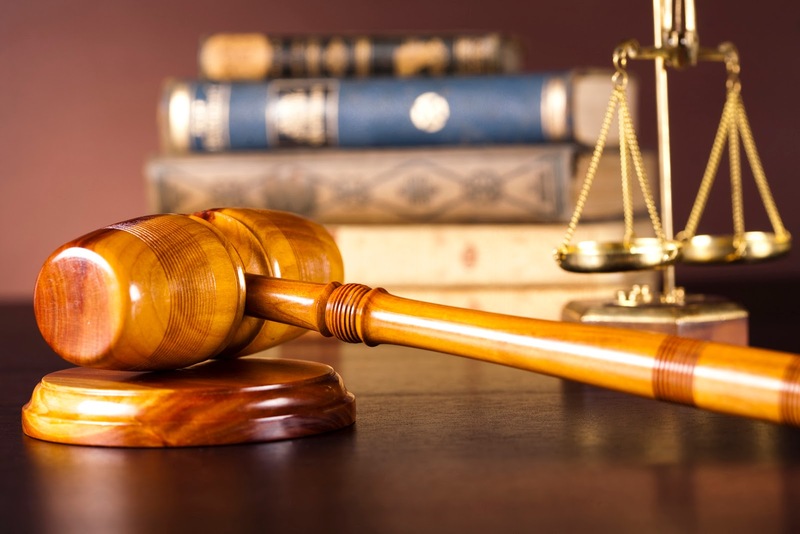 What is the effect of the change introduced by the Arbitration and Conciliation (Amendment) Act, 2015 (hereinafter referred to as "the 2015 Amendment") with particular reference to Section 11(6) and the newly added Section 11(6A) of the Arbitration and Conciliation Act, 1996 (hereinafter referred to as "the 1996 Act") is the crucial question arising for consideration in this case. 11(6A) The Supreme Court or, as the case may be, the High Court, while considering any application Under Sub-section (4) or Sub-section (5) or Sub-section (6), shall, notwithstanding any judgment, decree or order of any Court, confine to the examination of the existence of an arbitration agreement. From a reading of Section 11(6A), the intention of the legislature is crystal clear i.e. the Court should and need only look into one aspect-the existence of an arbitration agreement. What are the factors for deciding as to whether there is an arbitration agreement is the next question. The resolution to that is simple-it needs to be seen if the agreement contains a Clause which provides for arbitration pertaining to the disputes which have arisen between the parties to the agreement. 4. On the facts of the instant case, there is no dispute that there are five distinct contracts pertaining to five different works. No doubt that all the works put together are for the expansion of facilities at Gangavaram Port. However, the parties took a conscious decision to split the works which led to five separate contracts and consequently an arbitration Clause in each split contract was retained. The sixth one, namely the Corporate Guarantee also contains an arbitration clause. 3. Clarifications/Addendum No. 1 to 4 (in the descending order) issued by the Employer to the Original Package 4 Tender Document. 5. Financial Technical Bid submitted by the contractors in response to the Original Package 4 Tender Document. 7. Arbitration agreement.--(1) In this Part, "arbitration agreement" means an agreement by the parties to submit to arbitration all or certain disputes which have arisen or which may arise between them in respect of a defined legal relationship, whether contractual or not. (ii) When the parties enter into a contract making a general reference to another contract, such general reference would not have the effect of incorporating the arbitration Clause from the referred document into the contract between the parties. The arbitration Clause from another contract can be incorporated into the contract (where such reference is made), only by a specific reference to arbitration clause. 9. Learned Senior Counsel also contended that for convenience, it is expedient that a single Arbitral Tribunal is constituted. We are afraid that this contention also cannot be appreciated. The parties are free to agree to anything for their convenience but once such terms are reduced to an agreement, they can resile from them only in accordance with law. 10. Having said that, this being one of the first cases on Section 11(6A) of the 1996 Act before this Court, I feel it appropriate to briefly outline the scope and extent of the power of the High Court and the Supreme Court Under Sections 11(6) and 11(6A). (i) The power exercised by the Chief Justice of the High Court or the Chief Justice of India Under Section 11(6) of the Act is not an administrative power. It is a judicial power. (iv) The Chief Justice or the designated Judge will have the right to decide the preliminary aspects as indicated in the earlier part of this judgment. These will be his own jurisdiction to entertain the request the existence of a valid arbitration agreement, the existence or otherwise of a live claim, the existence of the condition for the exercise of his power and on the qualifications of the arbitrator or arbitrators. The Chief Justice or the designated Judge would be entitled to seek the opinion of an institution in the matter of nominating an arbitrator qualified in terms of Section 11 (8) of the Act if the need arises but the order appointing the arbitrator could only be that of the Chief Justice or the designated Judge. (xii) The decision in Konkan Rly. Corpn. Ltd. v. Rani Construction (P) Ltd. is overruled. 22. Where the intervention of the court is sought for appointment of an Arbitral Tribunal Under Section 11, the duty of the Chief Justice or his designate is defined in SBP & Co. This Court identified and segregated the preliminary issues that may arise for consideration in an application Under Section 11 of the Act into three categories, that is, (i) issues which the Chief Justice or his designate is bound to decide; (ii) issues which he can also decide, that is, issues which he may choose to decide; and (iii) issues which should be left to the Arbitral Tribunal to decide. (ii) Merits or any claim involved in the arbitration. 13. The scope of the power Under Section 11(6) of the 1996 Act was considerably wide in view of the decisions in SBP and Co. (supra) and Boghara Polyfab (supra). This position continued till the amendment brought about in 2015. After the amendment, all that the Courts need to see is whether an arbitration agreement exists-nothing more, nothing less. The legislative policy and purpose is essentially to minimize the Court's intervention at the stage of appointing the arbitrator and this intention as incorporated in Section 11(6A) ought to be respected. 14. In the case at hand, there are six arbitrable agreements (five agreements for works and one Corporate Guarantee) and each agreement contains a provision for arbitration. Hence, there has to be an Arbitral Tribunal for the disputes pertaining to each agreement. While the arbitrators can be the same, there has to be six Tribunals-two for international commercial arbitration involving the Spanish Company-M/s. Duro Felguera, S.A. and four for the domestic. 15. Arbitration Petition No. 30 of 2016 has been filed by M/s. Duro Felguera, S.A. Under Section 11(6)(a) read with Section 11(12)(a) of the Arbitration and Conciliation Act, 1996 (for short, 'the Act') to appoint the nominee arbitrator on behalf of the Respondent (second arbitrator) in terms of Sub-clause 20.6 of the Special Conditions of the Contract with respect to the arbitration arising under the Contract dated 10.05.2012. T.C. No. 25 of 2017, T.C. No. 26 of 2017, T.C. No. 27 of 2017 and T.C. No. 28 of 2017 have been filed by M/s. Felguera Gruas India Private Limited (hereinafter referred to as 'the FGI') for appointment of Domestic Arbitral Tribunal for resolving the dispute pertaining to the contract awarded to FGI. Arbitration Petition No. 31 of 2016 has been filed by M/s. Gangavaram Port Limited (hereinafter referred to as 'the GPL') to appoint an arbitrator under the Memorandum of Understanding (MoU) dated 11.08.2012 and to constitute a single Arbitral Tribunal by a composite reference for adjudication of all the disputes between the parties in connection with the "Works" covered under all the five Package Contracts and the Corporate Guarantee dated 17.03.2012 executed by Duro Felguera. 16. As the parties and issues in both the arbitration petitions and the transferred cases are one and the same, both arbitration petitions and the transferred cases shall stand disposed of by this common order. For convenience, parties are referred to as per their array in Arbitration Petition No. 30 of 2016. 17. Brief Facts: The Respondent-Gangavaram Port Limited (GPL) developed a green-field, ultra-modern, all-weather sea-port near Gangavaram Village in Visakhapatnam District in the State of Andhra Pradesh. This sea-port commenced operations in the year 2009. The Respondent intended to expand its facilities in the Port with respect to Bulk Material Handling Systems. This included Engineering, Design, Procurement of Materials, Manufacturing, Supply, Erection, Testing and Commissioning of Bulk Material Handling Systems, as well as all other associated works and integration of the same with the existing coal handling systems etc. For this purpose, on 08.08.2011, Gangavaram Port Limited invited a tender/bid. In response to the aforementioned tender dated 08.08.2011, the Spanish Company-Duro Felguera Plantas Industrials S.A. (since merged with the Petitioner) along with its Indian subsidiary-M/s. Felguera Gruas India Private Limited (FGI) submitted a Single Bid/Tender-Original Package No. 4 Tender Document on 15.11.2011. This included the Commercial Bid and the Technical Bid. After post-bid negotiations, the Petitioner Duro Felguera and its subsidiary (FGI) were considered by GPL and Duro Felguera and FGI were selected as "the Contractors" for the work. 18. After discussion between the parties, Original Package No. 4 TD was divided into five different and separate Packages, namely, New Package No. 4-F.O.B. Supply of Bulk Material Handling Equipments (awarded to foreign company-M/s. Duro Felguera), Package No. 6-design, manufacture, supply, installation, erection, testing, commissioning of Bulk Material Handling Equipments and all other activities related therewith; Package No. 7-Civil Works and all other activities related therewith; Package No. 8-International Transportation of Bulk Material Handling Equipments and parts through sea including insurance and all related activities; Package No. 9-Installation, Testing and Commissioning of Ship Unloaders and all other activities related therewith (Packages No. 6 to 9 awarded to Indian subsidiary-FGI). Separate Letters of Award (dated 17.03.2012) for five different Packages were issued to M/s. Duro Felguera, S.A. and the Indian Subsidiary-FGI for the above said work respectively. 19. Five different contracts were entered into on 10.05.2012 for five split-up Packages with different works viz. namely New Package No. 4 with foreign company-M/s. Duro Felguera and Packages No. 6, 7, 8 and 9 with FGI. Each of the Packages has special conditions of contract as well as general conditions of contract. Each one of the Contract/Agreement for works under split-up Packages contains an arbitration Clause namely Sub-clause 20.6. Duro Felguera had also entered into a Corporate Guarantee dated 17.03.2012 guaranteeing due performance of all the works awarded to Duro Felguera and FGI. The said Corporate Guarantee had its own arbitration Clause namely Clause (8). 20. Duro Felguera and FGI have executed a tripartite Memorandum of Understanding (MoU) with M/s. Gangavaram Port Limited (GPL) on 11.08.2012. In the said MoU, Duro Felguera and FGI have agreed to carry out the works as per the priority of documents listed therein. Case of GPL is that the MoU dated 11.08.2012 being the latest covers all the five contracts namely New Package No. 4 awarded to M/s. Duro Felguera and Packages No. 6 to 9 awarded to FGI. According to GPL, since MoU refers to original Package No. 4 Tender Document (TD) which contains arbitration clause, the Original Package No. 4 TD with its arbitration Clause shall be deemed to have been incorporated in the MoU. 21. Case of M/s. Gangavaram Port Limited is that the Petitioner-M/s. Duro Felguera, S.A. and its Indian Subsidiary-FGI failed to perform their obligations, including their obligation to attend and rectify faulty works and complete the pending works etc. Further grievance of GPL is that though the works were scheduled to be completed at the latest by 16.03.2014, the Petitioner-M/s. Duro Felguera, S.A. and its Indian Subsidiary (FGI) caused inordinate delay in execution of the work and, therefore, GPL was constrained to invoke the Bank Guarantee on 07.01.2016 given by Petitioner-M/s. Duro Felguera. GPL had also issued Notices of Termination dated 31.01.2016 to the Foreign Company-M/s. Duro Felguera and its Indian Subsidiary(FGI). M/s. Duro Felguera, S.A. and its Indian Subsidiary (FGI) issued notice of dissatisfaction on 04.02.2016 and 07.02.2016 to GPL. Subsequently M/s. Duro Felguera issued an arbitration notice dated 05.04.2016 for New Package No. 4 Contract and FGI issued four arbitration notices dated 07.04.2016 for Packages No. 6 to 9 Contracts. Both M/s. Duro Felguera and FGI have separately nominated Mr. Justice D.R. Deshmukh (Former Judge, Chhattisgarh High Court) as their nominee arbitrator for each of the five contracts. 22. GPL issued a comprehensive arbitration notice on 13.04.2016 appointing Mr. Justice M.N. Rao (Former Chief Justice, Himachal Pradesh High Court) as its nominee arbitrator under Sub-clause 20.6 of the conditions of contract which form part of the "Original Package No. 4 Tender Document". Contention of GPL is that "Original Package No. 4 (TD) and the Corporate Guarantee by M/s. Duro Felguera" and the MoU dated 11.08.2012 cover all the five contracts, namely, New Package No. 4, Package No. 6, Package No. 7, Package No. 8 and Package No. 9 as well as the Corporate Guarantee. Further case of GPL is that five individual arbitration notices issued by M/s. Duro Felguera and FGI are untenable and since Duro Felguera-the foreign company has guaranteed the due performance of the works covered under all the five packages and there has to be only one single Arbitral Tribunal for resolving the disputes of "International Commercial Arbitration" arising between the parties. 23. Mr. Mukul Rohtagi and Mr. Raju Ramachandran, learned Senior Counsel for M/s. Gangavaram Port Limited (GPL) submitted that the split up of the "Works" into five separate contracts was made only on the basis of the requests made by the Duro Felguera for convenience of the contractors. It was contended that all the works are inter-connected and inter-linked and if there are separate arbitrations for each of the packages, and separate arbitration for New Package No. 4 and the Corporate Guarantee take place, then in each arbitration, the Respondent party will blame the lapse on the part of GPL in another Package and thereby attempt to escape liability. It was urged that the appointment of a single arbitral tribunal, under the MoU and the Corporate Guarantee will avoid conflicting awards between the parties, huge wastage of time, resources and expenses; and would be consistent with law and public policy. The learned Senior Counsel further submitted that MoU was executed by Duro Felguera and FGI on 11.08.2012 and the contents of MoU including the priority of the documents referred therein prevail over the contents of the Letters of Award and the Contracts. It was, therefore, submitted that the arbitration Clause covered under Sub-clause 20.6 of the conditions of contract, which forms part of the "Original Package No. 4 Tender Document" which is incorporated in the MoU shall prevail over the arbitration Clause covered under Sub-clause 20.6 of the contract for five packages. It was further submitted that having regard to the nature of disputes which extend over each of the Packages and collectively covered the Corporate Guarantee executed by Duro Felguera under MoU, it would be just and proper to make a 'composite reference' and have a single arbitral tribunal of 'international commercial arbitration' for settling the dispute arising between the parties and the same would be consistent with the intention of the parties and public policy. It was urged that the contract for the "Works" has always been envisaged by the parties as one composite contract even though the contracts were split into various Packages and there cannot be multiple arbitral tribunals for adjudication of disputes between the parties as it would lead only to complications in settling the disputes and execution of the awards. 24. Mr. Sunil Gupta learned Senior Counsel appearing for Duro Felguera-Spanish Company submitted that by conscious agreement of the parties, the Original Package No. 4 Tender Document was superseded by five new Contracts with different works namely New Package No. 4, Packages No. 6, 7, 8 and 9, each of which have special conditions as well as general conditions of contract. It was further submitted that the Corporate Guarantee dated 17.03.2012 executed by Duro Felguera guaranteeing due performance of the works awarded to Duro Felguera and FGI has its own separate and distinct arbitration Clause and the same has no connection with the arbitration Clauses (sub-clause 20.6) of the five different contracts for New Package No. 4 and Packages No. 6, 7, 8 and 9. The learned Senior Counsel further submitted that the MoU dated 11.08.2012 which enlists priority of the documents to be considered is only to have clarity in carrying out the works and the MoU cannot override the terms of the contracts for five different packages including the arbitration clauses contained therein. It was submitted that the five new split-up Packages followed by five different Letters of Award and five different contracts were substantially different, independent and separate in their content and subject matter and there cannot be a 'composite reference' for efficacious settlement of disputes, it would be just and proper to have multiple arbitral tribunals and may be by the same arbitrators. The learned Senior Counsel submitted that so far as New Package No. 4 and the issues pertaining to the Corporate Guarantee executed on 17.03.2012 by Duro Felguera-the foreign Company, the arbitral tribunal has to be for International Commercial Arbitration. 25. Reiterating the above submissions, Mr. Singhvi, the learned Senior Counsel appearing for Indian subsidiary-FGI contended that by conscious decision and agreement of the parties, Original Package No. 4 (TD) was superseded and five new TDs with different works namely TD for New Package No. 4 and Packages No. 6, 7, 8 and 9 were brought into existence and there were separate Letters of Award and five separate contracts for each one of those split-up packages. It was submitted that each of the contracts contain special conditions as well as general conditions of contract apart from the arbitration clause, (sub-clause 20.6), which is relevant for governing the contractual and arbitral relations between the parties and in case of dispute arising between the parties under any of the respective contracts or the Corporate Guarantee, the aggrieved party would have to invoke the respective arbitration clauses in the respective contracts in question and cannot invoke the MoU dated 11.08.2012. It was further submitted that the Corporate Guarantee dated 17.03.2012 was executed by Duro Felguera under which it had guaranteed the due performance of all the works awarded to Duro Felguera and FGI and FGI is not a party under the said Corporate Guarantee. It was further submitted that the MoU dated 11.08.2012 came into existence long after the Contracts and it does not contain any arbitration Clause and MoU does not intend to alter the nature of the rights, responsibilities and obligations of the parties arising from the respective contracts and, therefore, for settling the disputes arising under the Packages No. 6, 7, 8 and 9 awarded to FGI, there have to be four domestic arbitral tribunals and there cannot be a 'composite reference' by invoking MoU. (2) Whether there have to be 'multiple arbitral tribunals' for each of the five different Packages of Work awarded to the foreign company-Duro Felguera and Indian Subsidiary-FGI (one International Commercial Arbitral Tribunal plus four Domestic Arbitral Tribunals) and Anr. one arbitral tribunal for 'international commercial arbitration' under Corporate Guarantee (17.03.2012) executed by the foreign company-Duro Felguera? 27. The Arbitration and Conciliation (Amendment) Act, 2015 (w.e.f. 23.10.2015) has brought in substantial changes in the provisions of the Arbitration and Conciliation Act, 1996. After the Amendment Act 3 of 2016, as per the amended provision of Sub-section (6A) of Section 11, the power of the court is confined only to examine the existence of the arbitration agreement. It further clarifies that the decision of appointment of an arbitrator will be made by the Supreme Court or the High Court (instead of Chief Justice) and Under Section 11(7), no appeal shall lie against such an appointment. 28. Under Section 11(6) of the Arbitration and Conciliation Act, 1996, as it stood prior to Amendment Act 3 of 2016, on an application made by any of the parties, the Chief Justice of the High Court appoints an arbitrator for adjudication. Initially, the line of decisions ruled that the appointment of arbitrator is an administrative order passed by the Chief Justice. In Konkan Railway Corporation Limited and Ors. v. Mehul Construction Company, MANU/SC/0523/2000 : (2000) 7 SCC 201, it was held that the powers of the Chief Justice Under Section 11(6) of the Arbitration and Conciliation Act, 1996 are of administrative nature and that the Chief Justice or his designate does not act as a judicial authority while appointing an arbitrator. The same view was reiterated in the subsequent judgment of this Court in Konkan Railway Corporation Limited and Anr. v. Rani Construction Private Limited, MANU/SC/0053/2002 : (2002) 2 SCC 388. 29. However, in the year 2005, a Constitution Bench of Seven Judges in SBP and Co. v. Patel Engineering Limited and Anr. MANU/SC/1787/2005 : (2005) 8 SCC 618, made a departure from the previous judgments and held that the order passed by the Chief Justice is not administrative but judicial in nature and hence the same is subject to appeal Under Article 136 of the Constitution of India. The Court further held that in deciding the appointment of an arbitrator, the Chief Justice could first by way of a preliminary decision decide the court's own jurisdiction of that matter to entertain the arbitration petition, the existence of a valid arbitration agreement, the subsistence of a "live claim i.e. the claim that is not barred by limitation". 22. Where the intervention of the court is sought for appointment of an Arbitral Tribunal Under Section 11, the duty of the Chief Justice or his designate is defined in SBP & Co. MANU/SC/1787/2005 : (2005) 8 SCC 618. This Court identified and segregated the preliminary issues that may arise for consideration in an application Under Section 11 of the Act into three categories, that is, (i) issues which the Chief Justice or his designate is bound to decide; (ii) issues which he can also decide, that is, issued which he may choose to decide; and (iii) issues which should be left to the Arbitral Tribunal to decide. The judgments in Shree Ram Mills Ltd. v. Utility Premises (P) Ltd., MANU/SC/1999/2007 : (2007) 4 SCC 599 and Arasmeta Captive Power Co. Private Limited and Anr. v. Lafarge India Private Limited, MANU/SC/1289/2013 : (2013) 15 SCC 414, are on the same line pertaining to the issues which have to be dealt with by the Chief Justice or his designate. 11. Appointment of arbitrators.-(1) A person of any nationality may be an arbitrator, unless otherwise agreed by the parties. the appointment shall be made, upon request of a party, by [the Supreme Court or, as the case may be, the High Court or any person or institution designated by such Court]. a party may request *[the Supreme Court or, as the case may be, the High Court or any person or institution designated by such Court] to take the necessary measure, unless the agreement on the appointment procedure provides other means for securing the appointment. (9) In the case of appointment of sole or third arbitrator in an international commercial arbitration, *[the Supreme Court or the person or institution designated by that Court] may appoint an arbitrator of a nationality other than the nationalities of the parties where the parties belong to different nationalities. *[(13) An application made under this Section for appointment of an arbitrator or arbitrators shall be disposed of by the Supreme Court or the High Court or the person or institution designated by such Court, as the case may be, as expeditiously as possible and an endeavour shall be made to dispose of the matter within a period of sixty days from the date of service of notice on the opposite party. 2. As per Sub-section (6-A), the power of the Court has now been restricted only to examination of the existence of an arbitration agreement. Earlier, the Chief Justice had been given the power to examine other aspects as well, i.e. limitation, whether the claims were referable for arbitration etc. in terms of the judgments of the Supreme Court in SBP and Co, v. Patel Engineering Ltd., MANU/SC/1787/2005 : (2005) 8 SCC 618; and National Insurance Co. Ltd. v. Boghara Polyfab Pvt. Ltd., MANU/SC/4056/2008 : (2009) 1 SCC 267. Now all preliminary issues have been left for the arbitral tribunal to decide in terms of Section 16 of the Act. 3. The Amending Act has categorically provided in Sub-section (6-B) that designation of any person or institution by the Supreme Court or High Court would not be construed as delegation of judicial power, The order passed by a designated person or institution would continue to be regarded as a judicial order. 4. It has been provided is Sub-section (7) that the order passed under this Section shall not appealable. This change means that finality is attached to the order passed under this Section and it would not be subject to further examination by an appellate court. 7. For determining the fee structure of the arbitral tribunal, it has been recommended that the High Courts may frame the necessary Rules and for that purpose, a model fee structure has been provided in the Fourth Schedule of the Amending Act. However, this Sub-section would not be applicable for the fee structure in case of international commercial arbitrations and domestic arbitrations where the parties have agreed for determination of fee as per Rules of an arbitral institution. This Sub-section has been inserted to ensure a reasonable fee structure since the cost of arbitration has increased manifold due to high charges being levied on the parties by the arbitral tribunal and other incidental expenses. 33. There is no dispute between the parties that the issue at hand is governed by the amended provision of Sub-section (6A) of Section 11. Even though Letters of Award are dated 17.03.2012 and five separate contracts were entered into between the parties on 10.05.2012, the dispute arose between the parties in 2016 as pointed out earlier, Gangavaram Port Limited invoked the Bank Guarantee on 07.01.2016 and M/s. Duro Felguera and its Indian Subsidiary-FGI issued notice of dissatisfaction on 04.02.2016 and 07.02.2016 respectively to Gangavaram Port Limited. M/s. Duro Felguera issued arbitration notice on 05.04.2016 for contract relating to Package No. 4 and FGI issued four arbitration notices dated 07.04.2016 for contracts relating to Packages No. 6 to 9. Gangavaram Port Limited also issued an arbitration notice on 13.04.2016. Since the dispute between the parties arose in 2016, the amended provision of Sub-section (6A) of Section 11 shall govern the issue, as per which the power of the Court is confined only to examine the existence of the arbitration agreement. Whether there has to be a Single Arbitral Tribunal for 'International Commercial Arbitration' or 'Multiple Arbitral Tribunals'? 34. Original Package No. 4 Tender Document for Gangavaram Port Limited Expansion-2011 consisted of "Bulk Material Handling Systems including Engineering, Design, Procurement of Materials, Manufacturing, Supply erection, testing and commissioning of bulk material handling systems including all other associated works and integration of the same with the existing coal handling systems (Package 4-"Works"). By mutual consent and agreement of the parties, Original Package No. 4 TD was split into five different Packages-New Package No. 4 [awarded to Duro Felguera (Spanish Company)] and Packages No. 6, 7, 8 and 9 awarded to its Indian subsidiary-FGI. 35. On behalf of GPL, it was repeatedly urged that the works are intrinsically connected, inseparable, integrated, interlinked and that they are one composite contract and that they were split up only on the request and representations given by Duro Felguera and FGI. As discussed earlier, as per amended provision Section 11(6A), the power of the Supreme Court or the High Court is only to examine the existence of an arbitration agreement. From the record, all that we could see are five separate Letters of Award; five separate Contracts; separate subject matters; separate and distinct work; each containing separate arbitration Clause signed by the respective parties to the contract. Any dispute in respect of which amicable settlement has not been reached within the period stated in Sub-Clause 20.5, shall be finally and conclusively settled by Arbitration under the Arbitration and Conciliation Act, 1996 by appointing two arbitrators one by each party and a presiding arbitrator to be appointed by the said arbitrators. Any such arbitration proceeding shall be within the exclusive jurisdiction of court of law at Hyderabad, India. The place of Arbitration shall be Hyderabad and the Language of Arbitration shall be English. The Contractor shall continue to attend to discharge all his obligations under the Contract during pendency of the Arbitration proceedings. Like Package No. 6, Contract/Agreement pertaining to other packages awarded to FGI, namely, Packages No. 7, 8 and 9 also contain similar arbitration Clause in Sub-clause 20.6. The Original Package No. 4 TD split into five different Packages, each having different works prima facie indicates the intention of the parties to split-up original Package No. 4 TD into five different packages, as was discussed above. (g) the Tender to the extent annexed herewith. Similar clauses as to the priority of the documents was incorporated in all other contract agreements-Packages No. 6, 7, 8 and 9 awarded to Indian subsidiary FGI. In the sequence of documents of Clause (2) of the contract agreement quoted above, the Tender Document is mentioned in the sequence only as (g) and all other documents or the other documents like Letters of Award, Special conditions of contract etc. have priority over the same. While so, the terms contained in Original Package No. 4 TD including the arbitration Clause cannot have priority over the Special Conditions of contract of the split-up contracts. When the Original Package No. 4 TD has been split-up into five different Packages, GPL is not right in contending that inspite of split-up of the work, the Original Package No. 4 TD collectively covered all the five Packages. After the Original Package No. 4 was split into five different contracts, the parties cannot go back to the Original Package No. 4 nor can they merge them into one. We do not find merit in the submissions of GPL that Sub-clause 20.6 of the Original Package No. 4 TD will still collectively cover all the five Packages to justify constitution of single Arbitral Tribunal. 8. This Corporate Guarantee shall be governed by the Indian Laws. In case of any disputes, the Parties shall endeavor to settle the same amicably. In case of failure to settle the disputes amicably, the same shall be finally settled under the Arbitration and Conciliation Act 1996 of India by appointing two Arbitrators, one by each party and a Presiding Arbitrator to be appointed by the said Arbitrators. The award of the Arbitrators shall be final and binding on the Corporate Company and the Employer. Any such Arbitration proceeding shall be at Hyderabad and within the Jurisdiction of the Court of Law at Hyderabad, Andhra Pradesh, India. The Arbitration shall be conducted in English language. 1. The Corporate Company hereby guarantees and covenants with the employer that FGI will perform all its obligations and duties as per package 6 to package 9, failing which the corporate company shall take over from FGI, as may be demanded by the employer under this Guarantee, and shall perform or cause to be performed at its own cost and risk and all the responsibilities, obligations and duties of FGI under package 6 to Package 9 so far as and to the extent FGI was liable to perform it, without any additional time and cost implication to the employer, subject to the employer continuing to meet its own obligations under package 6 to package 9 with respect to payments, approvals for drawings and other related matters to the corporate company as if the corporate company were the principal contractor in place of FGI. 41. Contention of GPL is that as per the Corporate Guarantee, the Spanish Company has inter alia undertaken to compensate GPL for delay damages, based on the overall contract price collectively of all the Contracts awarded to both Duro Felguera and FGI, arising on account of delay in completion of the works in any one or all of the five Contracts. It is contended that the Spanish Company is obligated to take over and perform the works at its own costs, risk and responsibilities, as if it is the Principal Contractor including for the works awarded to the Indian Subsidiary and therefore as per terms of Corporate Guarantee executed by Duro Felguera, there has to be a single arbitral tribunal for all the Packages. 42. As per the terms of Corporate Guarantee, it shall cease on issuance of the performance certificate under all the contracts. Of course, Duro Felguera has given the Corporate Guarantee for all the five contracts viz., New Package No. 4, Packages No. 6 to 9. Corporate Guarantee executed by Duro Felguera dated 17.03.2012 also recognizes the split up of the original Package No. 4 Tender Document. As per the terms of the Corporate Guarantee, it is to be invoked only if breach is established in one of the five contracts. Since the Corporate Guarantee by itself has a separate arbitration clause, it cannot be contended that by virtue of the Corporate Guarantee executed by Duro Felguera, there has to be a 'composite reference' of 'International Commercial Arbitration' which would cover all the five Packages. The Corporate Guarantee by Duro Felguera cannot supersede the five split-up contracts and the special conditions of contract thereon. Whereas the parties have entered into different package contracts for execution of Bulk Material Handling System under "Original Package 4 Tender Document" covering ship unloaders, stackers, reclaimers, in-motion wagon loading system, conveyors, transfer towers, electrical and control works, civil works, etc, and in order to have more clarity on technical and execution related matters, the parties hereby agree that the works shall be carried out as per the following priority of documents. 5. Final Technical Bid submitted by the Contractors in response to the Original Package 4 Tender Document. The parties undertake to keep this MoU as strictly confidential. 44. Contention of GPL is that Memorandum of Understanding (dated 11.08.2012) collectively covers all the five Packages and MoU shall prevail over the arbitration clauses contained in five different Packages. In this regard, reliance was placed upon Sub-section (5) of Section 7 of the Act to contend that since reference is made to Original Package No. 4 TD in MoU, arbitration Clause 20.6 must be deemed to have become part of MoU. In support of their contention, learned Senior Counsel Mr. Mukul Rohatgi and Mr. Raju Ramchandran appearing for GPL, placed reliance upon Chloro Controls India Private Ltd. v. Severn Trent Water Purification Inc. and Ors. MANU/SC/0803/2012 : (2013) 1 SCC 641. 45. Per contra, the learned Senior Counsel for Duro Felguera and FGI submitted that merely because MoU refers to Original Package No. 4 Tender Document, such mere reference cannot lead to an inference of arbitration Clause being incorporated as it only depends upon the intention of the Parties. It was further submitted that the Memorandum of Understanding (MoU) is merely a supplementary document which was meant to lay down the priority of documents only to clarify the priority in execution of the work under different Packages. It was further submitted that MoU was neither intended to alter the nature of the rights, responsibilities and obligations of the parties involved in the respective contracts nor does it override the terms of the main contract including the arbitration clauses in the five different packages. 46. In light of the above contentions, the point falling for consideration is by virtue of Sub-section (5) of Section 7, whether the MoU is to be taken as the basis for arbitration, justifying the constitution of single arbitral tribunal because a reference is made to Original Package No. 4 TD in Memorandum of Understanding (MoU). 51. It was submitted that if the request of GPL is accepted and all Packages are considered under the same reference, they shall be treated as international commercial arbitrations, then FGI may lose the opportunity of challenging the award Under Section 34(2A) of the Act. In response to the above submission, GPL offered to concede and submitted that Section 34 (2A) of the Act may be invoked by Indian subsidiary-FGI, though Section 34(2A) is not applicable to international commercial arbitration. Such a concession is against the provisions and specific mandate of legislature and cannot be accepted. 52. The Corporate Guarantee dated 17.03.2012 was executed by the foreign company-Duro Felguera undertaking to compensate for the delay, damages to the GPL. Since the Corporate Guarantee was by the foreign company-Duro Felguera which contains separate arbitration clause, there has to be a separate arbitral tribunal for resolving the disputes arising out of the said Corporate Guarantee. 53. New Package No. 4 TD-F.O.B. Supply of Bulk Material Handling Equipments USD 26,666,932 has been awarded to the foreign company-Duro Felguera. Since Duro Felguera is a foreign company, in so far as the contract awarded to Duro Felguera i.e. New Package No. 4 and the dispute arising out of the Corporate Guarantee executed by the foreign company-Duro Felguera is concerned, the arbitral tribunal has to be for the international commercial arbitration. 54. The learned Senior Counsel for GPL relied upon Chloro Controls India Private Ltd. (supra), to contend that where various agreements constitute a composite transaction, court can refer disputes to arbitration if all ancillary agreements are relatable to principal agreement and performance of one agreement is so intrinsically interlinked with other agreements. Even though Chloro Controls has considered the doctrine of "composite reference", "composite performance" etc., ratio of Chloro Controls may not be applicable to the case in hand. In Chloro Controls, the arbitration Clause in the principal agreement i.e. Clause (30) required that any dispute or difference arising under or in connection with the principal (mother) agreement, which could not be settled by friendly negotiation and agreement between the parties, would be finally settled by arbitration conducted in accordance with Rules of ICC. The words thereon "under and in connection with" in the principal agreement was very wide to make it more comprehensive, in that background, the performance of all other agreements by respective parties including third parties/non-signatories had to fall in line with the principal agreement. In such factual background, it was held that all agreements pertaining to the entire disputes are to be settled by a "composite reference". The case in hand stands entirely on different footing. As discussed earlier, all five different Packages as well as the Corporate Guarantee have separate arbitration clauses and they do not depend on the terms and conditions of the Original Package No. 4 TD nor on the MoU, which is intended to have clarity in execution of the work. 55. Duro Felguera being a foreign company, for each of the disputes arising under New Package No. 4 and Corporate Guarantee, International Commercial Arbitration Tribunal are to be constituted. M/s. Duro Felguera has nominated Mr. Justice D.R. Deshmukh (Former Judge of Chhattisgarh High Court) as their arbitrator. Gangavaram Port Limited (GPL) has nominated Mr. Justice M.N. Rao (Former Chief Justice of Himachal Pradesh High Court). Alongwith the above two arbitrators Mr. Justice R.M. Lodha, Former Chief Justice of India is appointed as the Presiding Arbitrator of the International Commercial Arbitral Tribunal. 56. Package No. 6 (Rs. 208,66,53,657/-); Package No. 7 (Rs. 59,14,65,706/-); Package No. 8 (Rs. 9,94,38,635/-); and Package No. 9 (Rs. 29,52,85,558/-) have been awarded to the Indian company-FGI. Since the issues arising between the parties are inter-related, the same arbitral tribunal, Justice R.M. Lodha, Former Chief Justice of India, Justice D.R. Deshmukh, Former Judge of Chhattisgarh High Court and Justice M.N. Rao, Former Chief Justice of Himachal Pradesh High Court, shall separately constitute Domestic Arbitral Tribunals for resolving each of the disputes pertaining to Packages No. 6, 7, 8 and 9. 57. Arbitration Petition No. 30 of 2016 filed by Duro Felguera shall stand allowed and Arbitration Petition No. 31 of 2016 filed by GPL shall stand disposed of in the same line. Transfer Case No. 25/2017, Transfer Case No. 26/2017, Transfer Case No. 27/2017 and Transfer Case No. 28/2017 filed by FGI shall also stand disposed of in the above lines. Parties shall bear their respective costs.